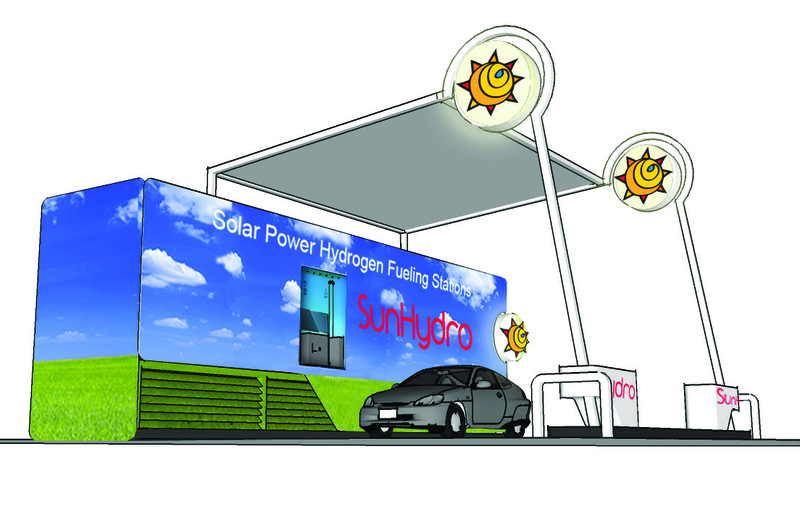 Can SunHydro’s Network of Hydrogen Fueling Stations Succeed? Fuel cell technology is the perpetual underdog to electric vehicle tech–almost every major automaker has an EV planned for the next few years, but fuel cell vehicles are largely being kept on the back burner just in case public interest suddenly heats up. SunHydro is betting that it will. The gutsy startup is building the first privately funded network of hydrogen fueling stations, starting with a nearly $2 million station in Wallingford, Connecticut this summer. SunHydro plans to capture excess hydrogen for use at the station from nearby Proton Energy Systems. But is it practical? Both EVs and fuel cell vehicles can be powered by dirty and clean sources of power, depending on what method is used to produce electricity and hydrogen. But carmakers won’t have fuel cell vehicles on the road until 2015, while plug-in hybrids and electric cars have already been released. Much-heralded companies like Coulomb Technologies and Better Place are hard at work on building out an EV charging infrastructure, and Volkswagen recently went so far as to hire a Chief Officer for Electric Traction just to make sure the transition to hybrids and EVs is going smoothly. Nevertheless, Sullivan is confident that hydrogen power will win out. of these vehicles in production now but have no place to put them here,” he said.